This will be a short post, because trying to applying simple language to this show, which I am more and more convinced is flirting with the purest incarnation of the glory of narrative fiction and the visual medium, is ultimately a futile and foolish exercise. And yet…there is no way that I can simply sit back and allow this moment to flow like water and be forgotten. It is true that the beauty of any point in time is that it passes on; we can never hold time still, for it ever marches forward, relegating the present to the past and bringing the future to the present. And yet…as a writer and as a person, I cannot help but try to hold time still for just a bit, to recall the memory of a moment which surpasses the limits of this time we face. 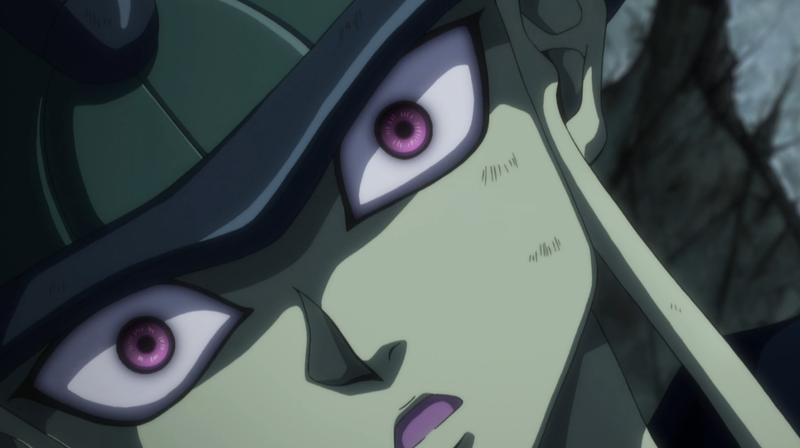 It is hard to believe that the incredible passion and breathtaking intensity which Gon (and Megumi Han) brought to episode 116 of Hunter x Hunter could be surpassed, but the sheer spectacle and force of culmination that unfolded in “Zero x And x Rose” has done that. We saw the representatives of two species, two ideals clash in a titanic battle over (literally) the fate of the world. We saw fear in that which could never feel fear, and victory arise from the one who was utterly defeated. We saw the impossible manifest itself and the very heart of humanity, with all its unlimited capacities for evolution, malice, respect and love bared before our very eyes. It is both the perfected glory and the great tragedy of what it is to be human, played out moment by moment before our eyes. And then remember each and every moment of brilliance that has appeared in this show prior to this moment, all standing alone and, at the same time, all necessary to this one. It is a bold statement, and potentially a rash one compelled by the emotion of this instant, but I am convinced we are (and have) been watching the pinnacle of art, the unveiled genius of the storytelling craft, perfected here in the visual medium. It’s time to stop talking about Hunter x Hunter as one of the best shounen of all time; that is no longer a question. 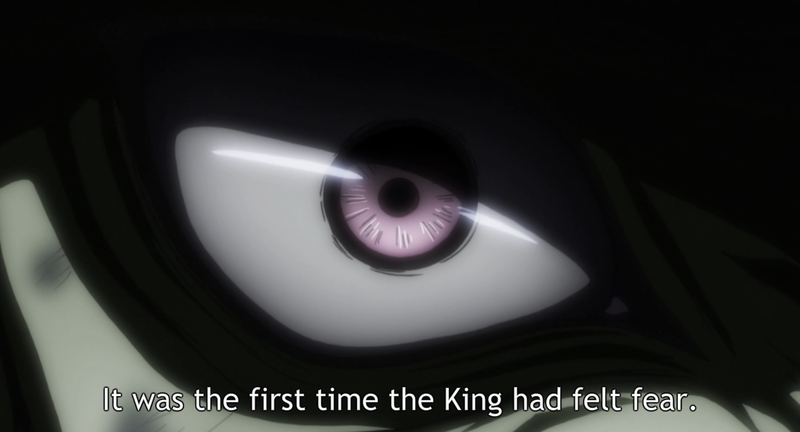 It’s now time to start talking about Hunter x Hunter as one of the best anime of all time, and as a show that deserves a place among the masterpieces of the cinematic medium. “A beautiful object ought not to be spoken about in any but a beautiful manner.” -The Introduction to Hans Urs Von Balthasar’s Heart of the World. Thank you somebody feels the same way, your write it is time to place this up their with the anime we call legendary. The things we learned all through the show from nen, personality traits, survival tactics, and even more were displayed here. No information we got from the show was irrelevant it all added up and turned out to be this spectacle of an episode. 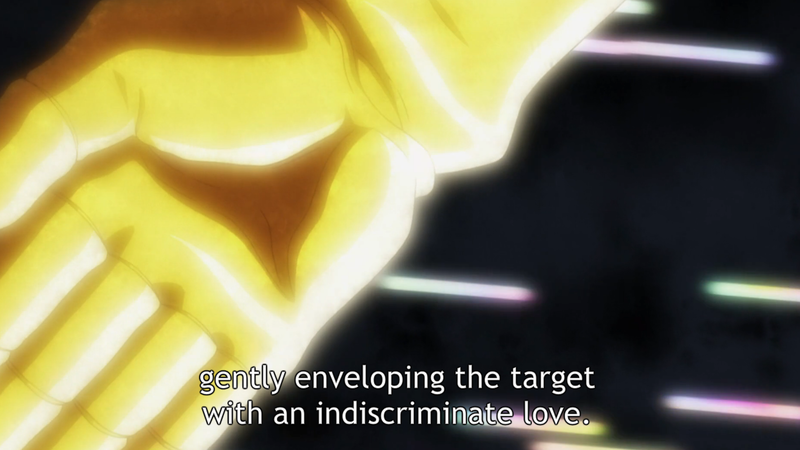 I’m glad to be an HxH fan. I too am glad I finally watched this show. At first glance years ago I thought this show was mediocre. Boy was I dead wrong. It is the best shonen anime of all time. Hands down.